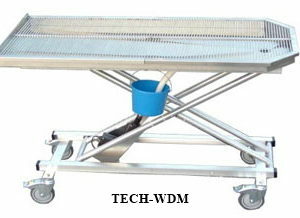 Technidyne offers you the high quality durable scale with 42″ x 22″ platform with all these features for a reasonable price. No Moving Parts and a Three Year Warranty make this one of the best scales available! The Accu-Lock II Systems assures accurate weight with its fully automatic pre-programmed operation. Even with a moving animal the Accu-Lock II System calculates and holds the animal’s true weight without annoying digit jitter! Just walk the animal on the scale and in approximately 10 seconds the Accu-Lock II has locked on the animal’s actual weight. 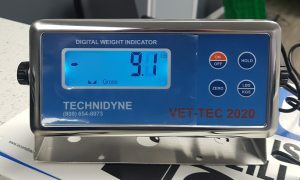 Since the animals are typically apprehensive of stepping onto high platforms, Technidyne has designed a low profile HALF the height of other vet scales. This makes getting animals on and off the scale much easier. 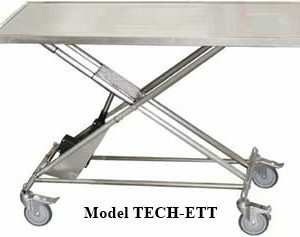 42″ x 22″ platform constructed of heavy gauge 316 type stainless steel- this scale was designed specifically for Veterinary use and will not rust even with long term exposure to bodily fluids. It can be floor or table mounted. Technidyne Scales are overload protected. Since these scales can withstand the typical abuse of children playing and jumping, many have been placed in the doctor’s waiting room. 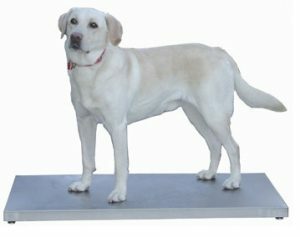 The digital control box can be mounted out of children’s reach but within the receptionist’s view allowing the client to simply walk their animal onto the scale for weighing. Compensates for items placed on the scale platform (person, cage, pet carrier, etc.) and displays only weight of the animal. Unlike most scale companies, Technidyne offer a full three year warranty on all parts and labor. Technidyne offers you the high quality durable scale with 42″ x 22″ platform with all these features for a reasonable price. A sales representative will be happy to make a comparison of the Vet-Tech 2000 to the lesser priced inferior scales, and the over priced outdated scales now being sold in the Veterinary Equipment Market. 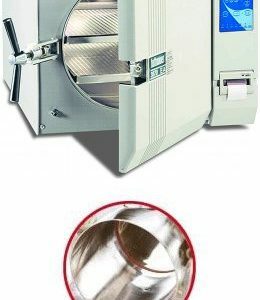 Should you decide for any reason that you do not wish to keep the Vet-Tech 2000, you may return it for a full refund within 2 weeks- call for details.